In an era when there are countless competing claims on ones attention, how does one find the internal focus to be creative? For master furniture craftsman Gary Rogowski, the answer is in the act of creative work itself. The discipline of working with ones hands to create unnecessarily beautiful things shapes the builder into a more complete human being. In the tradition of 'Zen and the Art of Motorcycle Maintenance' and 'Shop Class as Soulcraft', Rogowskis 'Handmade' is a profound meditation on the eternal value of manual work, creativity, human fallibility, and the stubborn pursuit of quality work. 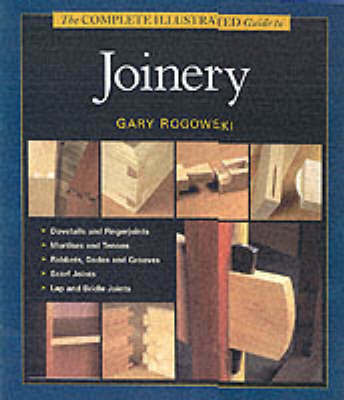 Rogowski tells his life story of how he became a craftsman and how years of persistent work have taught him patience, resilience, tolerance for failure, and a love of pursuing beauty and mastery for its own sake. Part autobiography, part guide to creativity, and part guide to living, 'Handmade' is a book for craftspeople, artists, and anyone who seeks clarity, purpose, and creativity in their work and it's the perfect antidote to a modern world that thinks human labor is obsolete. Buy Handmade by Gary Rogowski from Australia's Online Independent Bookstore, Boomerang Books.